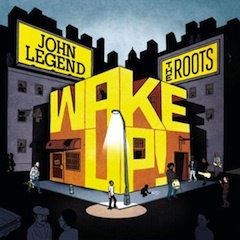 “Wake Up!” was one of my favorite buys of 2011. A pal recommended “I Can’t Write Left-Handed” to me and after I gave this version of it a listen, I had to slap myself twice. First, because the album had been out for a year and I’d never heard of it, and then because the song itself was first released back in 1972 and I’d spent all 39 of those years not listening to the original version, either. Granted, I had other priorities in the early Seventies (I was kind of a child-development geek back then…totally obsessed with it, you could say) but the free pass ends in the Eighties. “I Can’t Write Left-Handed” is an anti-war song in which a Vietnam vet dictates a simple letter that he can’t write himself because of his battlefield injury. That’s it. But it gets right to the point: that the human cost of war is enormous, and that the perspectives of someone who’s actually seen combat are very, very different from those of someone who hasn’t. Even those of a soldier who hasn’t been to war yet. Here’s what separates a good anti-war song from a poor one. The focus is on the people who have been directly affected. It’s not on the singer, and how angry and offended he, personally is. For some reason I’m suddenly thinking of the moment when Starr Jones made that bold career choice to switch from Tolerable to Insufferable Twit. The 2004 Indian Ocean tsunami killed more than 150,000 people. Starr’s method of relating to the disaster was the fact that she’d honeymooned in that area a month before the disaster, and had felt like she’d been blessed by God. It’s kind of a cautionary tale. Selfishness is self-limiting at best and self-destructive at worst. It’s such a potent toxin because it’s so easy not to see it in your own behavior. Was Jones trying to deliberately swing the spotlight towards her and off of the dead, injured, displaced, and bereaved? Or was she simply trying to find a way to connect to a disaster that happened halfway across the world, and which did so much damage that the numbers almost defy comprehension? The lesson is that it’s usually not important that you work out your own feelings about these things. That’s a luxury, at a time when so many are in such dire circumstances. The Vietnam War produced protest songs by the psychedelic busload. How many of them were particularly thoughtful? How many were just selfishly angry? I wasn’t around back then so I don’t have either that experience nor the full context. I really can’t judge. I’m happy that in our current environment, despite the fact that we need tactile and repeated reminders of just how many of our citizen soldiers are out there risking everything, there seems to be a reliable partition between our feelings (pro and con) about the use of American military forces, and our feelings for those out there on the line. This particular track is a new cover recorded by John Legend and The Roots. The 1972 original had Bill Withers describing an experience he had with a recently-returned vet, and the story that the encounter inspired. 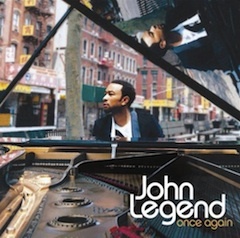 This version has John Legend describing the song in which Bill Withers told the story that inspired the song. It’s a little bit recursive but hey, it works. The shift in context between the two versions is interesting. It’s a potent song so long as anybody is fighting anywhere in uniform. But the original was written during the days of the Draft. Today, we have an all-volunteer army. I suspect that means something, and it nags me that I can’t figure out what that is. There are categories of vocations where the common thread is “service.” The military, law enforcement, firefighting, teaching, certain articulations of the ministry, community organizing, even politics: on some level, they’re impossible, undoable jobs in which everyone who signs up pretty much knows that they’ll be paid far less than the benefits that they create for Society. And yet, there are people who go out and do those jobs. Yes, of course: not always for altruistic reasons. But even if you became a firefighter because of the great pension program, or you became a soldier in part because the Army was hiring and everybody else in the state wasn’t, that doesn’t change the basic fact. There are people who run out of a burning building to save themselves and then there are the people who run in to save the lives of strangers. If you watched that orientation video and you still signed the contract, you’re not getting paid enough. I read an essay by a decorated soldier who tried to explain the disconnect in perceptions between soldiers and non-soldiers. In explaining his actions and even his mere presence in a war zone, he just said “It’s the job I signed up for.” That’s the key. I know I’ll never understand it fully but I know the truth is right there. It seems remarkable to anybody else that taking those kinds of risks and making those kind of sacrifices could be simply part of a job description. Back to the original question: how does this song change when the vet in the song fought in the Middle East instead of Southeast Asia? When the soldier made a choice and volunteered, versus (in effect) being hit by a big truck as an act of God and had no choice in the matter? And of course, it’s a stupid, selfish question. He’s can’t write left-handed any more and he doesn’t think he’ll be around much longer. Why the compulsion to pull one’s thoughts away from that for one moment? Okay, let’s get back to cheerier topics: music. I own both the Legend/Roots album and the version of the song recorded by Bill Withers, recorded live at a Carnegie Hall concert. I gravitate towards the newer edition. It has more momentum; there’s something about the additional repetition of the song that builds to a kind of prayer, and the more conventional R&B/soul arrangement suits the song better than the more intimate 1972 performance. But Your Taste May Vary. Try or buy “I Can’t Write Left-Handed” on the Amazon MP3 Store. Anything you buy on Amazon after clicking that link results in my receiving a small kickback in the form of Amazon credits…which I promise to spend on fun things. This is a masterful song. No other observation or rumination should go ahead of that statement. It stopped me dead when I heard Legend perform it on TV, and then after I bought it (immediately following the show) I kept tapping a button in iTunes to hear it again. Legend’s singing and production on this song remind me of one of Aesop’s fables. The wind and the sun are arguing about which one is stronger. Actually, the wind is doing most of the arguing. He sees a man walking along a road below and demonstrates his power by lashing down at him with full force, trying to blow his cloak off of his back. He doubles and redoubles his force, which only makes the man hold his cloak around himself even more tightly. The wind is spent. The Sun makes his point by simply radiating. The traveler walks a few hundred yards, and releases his grip on the cloak. A few hundred more, and he undoes the clasps. And soon, he’s taken it off entirely and slung it over his shoulder. John Legend’s performance here is all about radiance, not force. It’s simple and unadorned and maybe because of that, you open yourself up to it. It’s a very moving piece about a soldier worrying about his family back home and hoping that he lives to return to them. Failing that, he hopes that they’ll carry on without him. It brings the stakes of war home to you in a way that no hammy flag-waving eagle-soaring power-anthem, nor any smug and heavy-handed hippie ballad, ever could. I’m sure that it resonates personally with just about everybody. “Coming Home” is an intensely personal meme. A sufficiently advanced and exotic method of observing and mapping brain activity would rely on this phrase as a trigger. “Think of coming home,” the technician tells the subject. The scanner can ride that thought through the entire operating system. I’m thinking of that concept a lot at the moment. Thanksgiving, I’ve come to understand, serves as a clear map to a defining issue for you and your stage in life. If you’re traveling somewhere for Thanksgiving, is “home” the place you’re traveling to at the start of the four-day weekend, or is it the place where you land at the very end of it? I suppose everyone would define this differently. You kind of automatically make the switch when you get married. Even if there are a few fuzzy years after you start co-habitating, it almost certainly happens by the time you have kids. It’s fuzzier still when you’re single. I tend to define “home” as that place where I have access to (in alphabetical order, to show no favoritism) my family, my friends and my Mac. Which actually means that if I have the third thing, I’m practically 80% there. Every year of my life (at least since 1989, when I got my first Mac) I’ve spent Thanksgiving with one of the first two groups. This year, I spent it with the third. I didn’t discourage Thanksgiving invitations, nor did I fish for them. For reasons that would be dull to discuss, I felt like this would be a good year to spend the holiday alone in thought. By Wednesday morning, my options still seemed to be open, so I committed…by purchasing a quarter-turkey and the other required elements of a Thanksgiving dinner. I did receive a couple of invitations late in the game, but I politely declined them. I made a pie Wednesday night at 2 AM. While it baked, I snuck outside with my SLR on a tripod to take photos of an absolutely brilliantly-clear starry sky. I got to bed very late, but I woke up early enough to watch the parade. I started on the bread dough. I watched a movie during the first rise. After I got the bread started on its second rise, I went for a long drive. When I got back, I prepped the turkey and got it in the oven. Kipped on the sofa for another movie on Netflix. Started shuttling pans of rolls through the toaster oven and got started on the beans. Everything came out great. I spent the rest of the night reading a new book, and iChatting with friends to compare notes on their own Thanksgivings. At 1 AM, I had a turkey and cranberry sauce sandwich, on homemade bread. This, I’m sure you realize, is the whole reason why I bothered to cook a full, proper Thanksgiving dinner instead of just making a pot of pasta. I wouldn’t say that it was the very best Thanksgiving I’ve ever had. But it was up there in the top five, and the reason is pretty simple: I was Home. I can’t say that I stopped at any point to explicitly enumerate all of my many blessings in life. I didn’t really need to. They were all around me. Today’s another one of those Worst Travel Days Of The Year. Or so the many press releases in my Inbox tell me. Whether you’re spending Sunday leaving home or returning to it…safe travels to you.